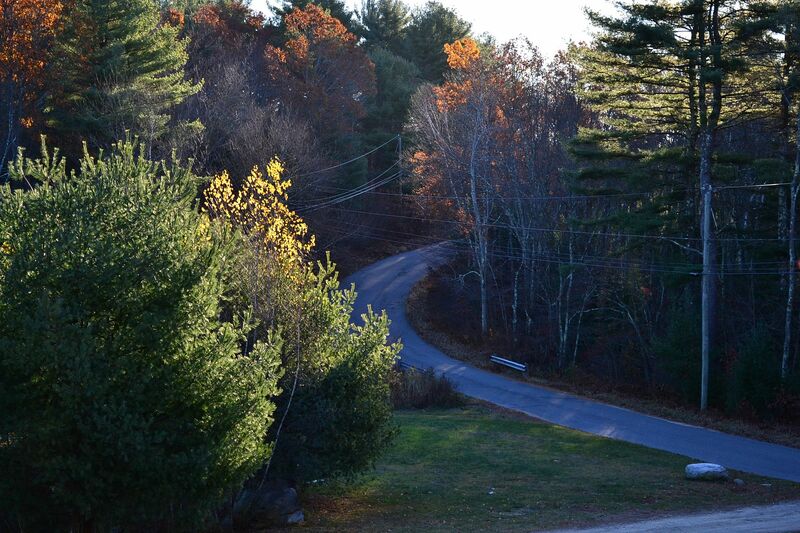 The morning of Grace’s 14th birthday dawned bright, cold, and clear. I gave her a gift before school, and made her a breakfast of fried eggs and homemade toasted bread. We took a few pictures; she’s 14 now. 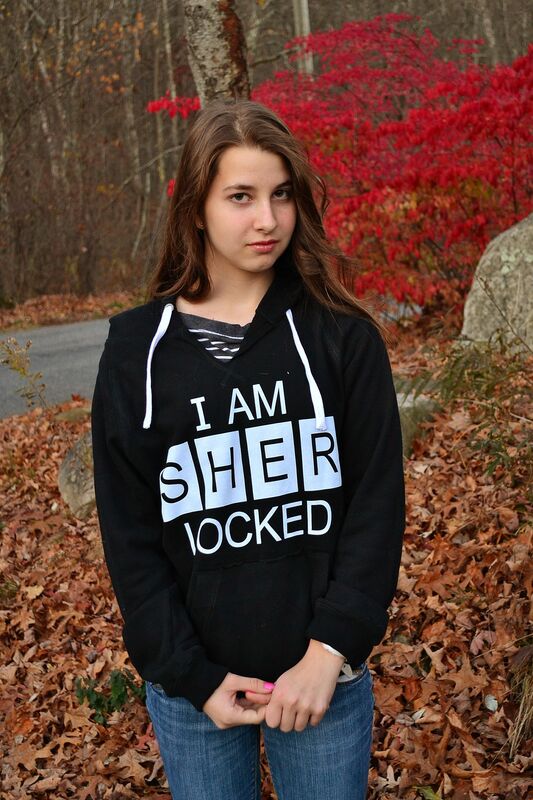 I gave her this sweatshirt, because she is a big Sherlock Holmes fan. 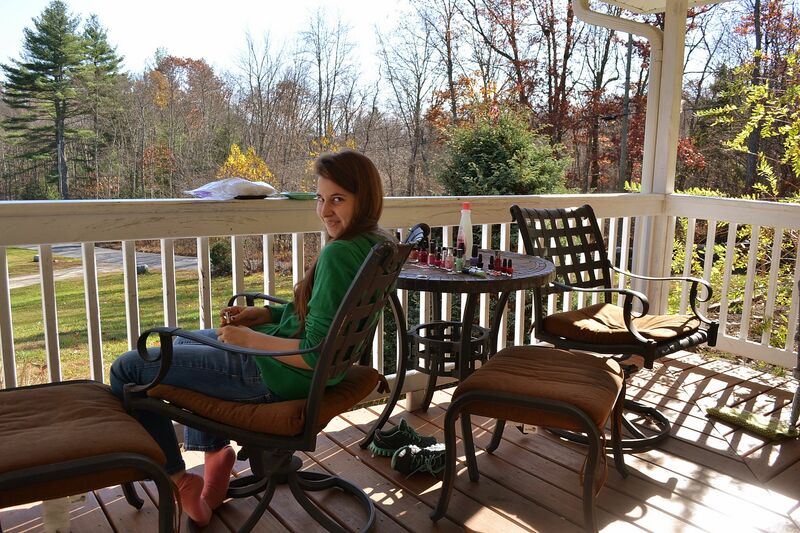 Grace loves nail polish and keeps her nails painted prettily. 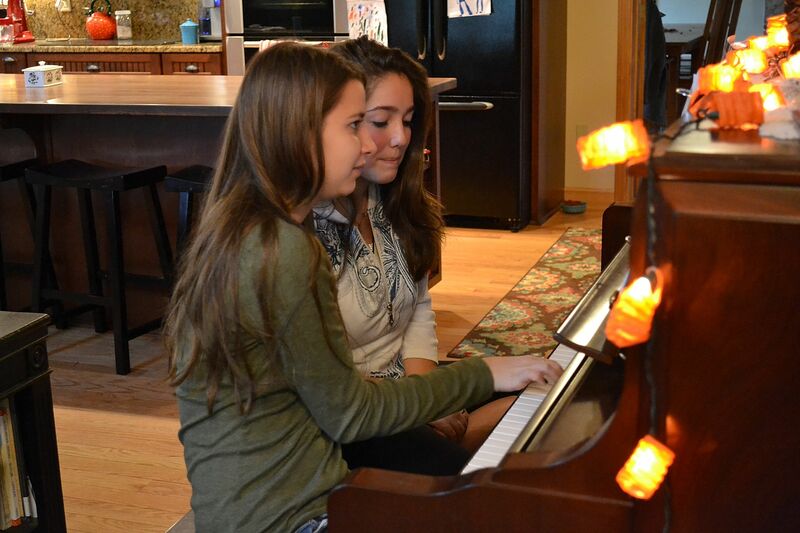 Grace and her best friend, Jenna. 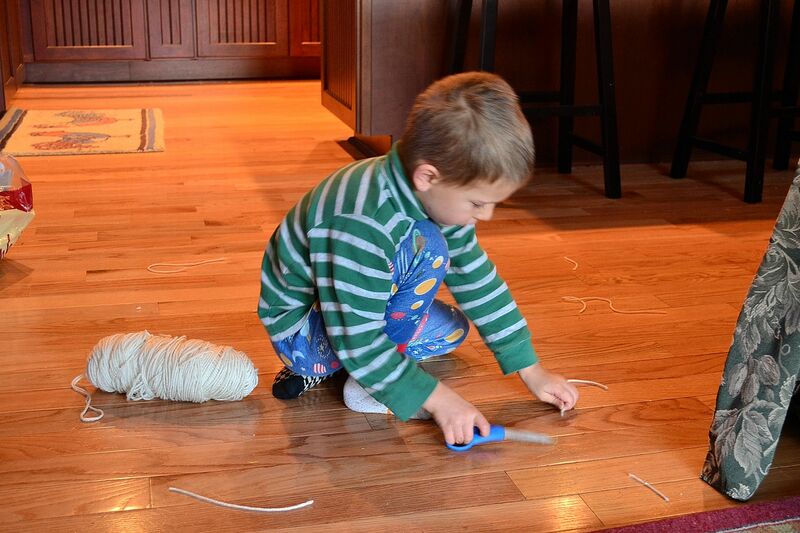 Scissors and yarn make a good quiet activity for a four year old. This kept him busy for about 15 minutes yesterday morning. He cut little pieces and practiced tying knots. After seeing the birthday girl, David, and Caleb, off to school, the preschoolers and I got ready to go to a brunch. The brunch was held at Sandi’s house for all the core leaders in Community Bible Study. We each took a dish to share. The decorated table held chicken salad, zucchini muffins, Greek yogurt with berry sauce, pumpkin mousse served with ginger cookies and graham crackers, banana bread with chocolate chips, pumpkin muffins, and a fresh baked quiche. With coffee and tea, it was a delightful meal. We sat in the living room, chatted about the crazy things our kids have done, (which would come back to haunt me) and shared easy recipes. Paula wrote all the recipes down, we have plans to make up our own cookbook of 2-5 ingredient recipes. Seth and Sarah were supplied with toys and they had a great time exploring a place we had never visited before. Seth had the best time with the automatic water and ice on the door of the fridge and he drank a LOT of water. I left with a smile on my face and a bounce in my step, after getting to know the ladies better and sharing a good time. One mile down the road Seth was absolutely desperate for a bathroom. Thankfully we came across a McDonald’s and we ran in, the three of us together and holding hands; he made it! Grace requested tacos for her birthday meal and I had to stop at Big Y. By this time Seth needed another bathroom break and I took him down by the deli department to use the restroom. I got home and spent some time with a flashlight, peering up my son’s tiny nostril. There was nothing I could do. I had him lay down and called the pediatrician. To make a long story short (and, I might add, I was exhausted at this point=headache) I was advised to just go to the ER (we live near a small, quiet hospital that doesn’t get much action). Caroline came over to help me with the other children. Seth and I left for the ER where he was put right into a room. 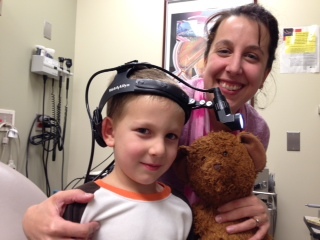 The doctors were so nice to him but Seth hated the HurriCaine (the name!) numbing spray that they put up his nose and accidently sprayed in his eye and face. We had to hold him down (he didn’t scream at all, just wriggled) as the doctor “went retrieving”. 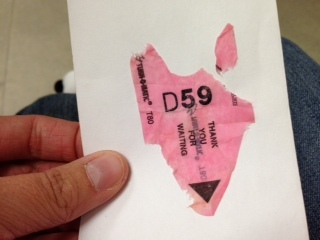 Eventually, out came: a deli ticket from the grocery store. It was the doctor’s idea to take pictures. He even told me to get in the picture while Seth tried on the cool flashlight helmet. You see my strained smile. He gave me the deli ticket to put in my scrapbook. (HOW did he know?LOL) Seth was given an orange popsicle, and a dancing Snoopy. Really, he was treated so kindly that I’m afraid he will want to go back soon. After that two hour adventure, I got home in time to start dinner, say goodbye to Caroline and then load the kids back up to go get Grace from school. 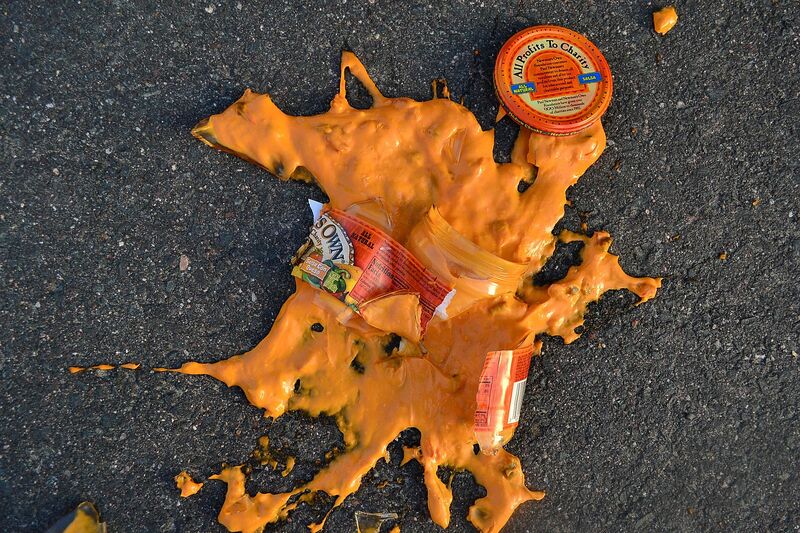 OH, I also dropped the jar of special cheesy taco sauce out the back of the vehicle. I get to clean up cheese glass today! We came home and ate tacos and had an ice cream cake. Everyone loves this girl! Happy Birthday, Grace. Today is another bright day, and I’m drinking a lot of chamomile tea to soothe my nerves. 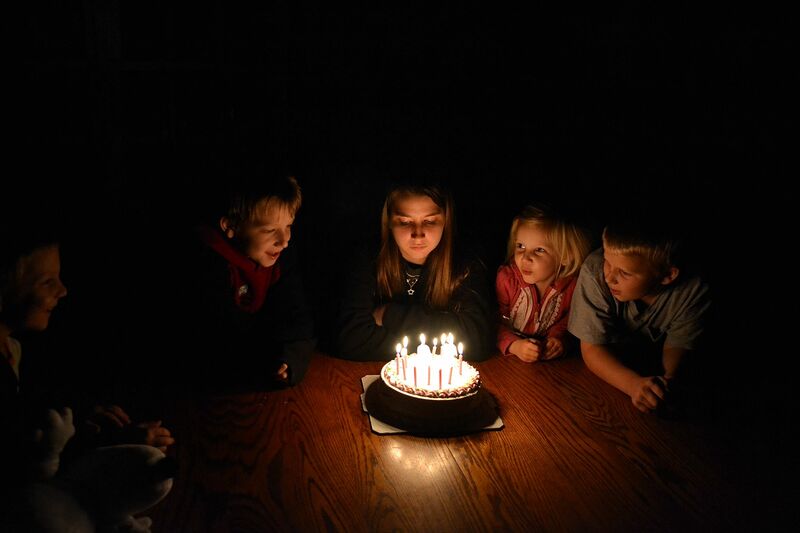 This entry was posted in life with boys, life with girls and tagged birthdays, Grace by Shanda. Bookmark the permalink. Oh dear…paper in the nose=ER trip… I can only imagine. 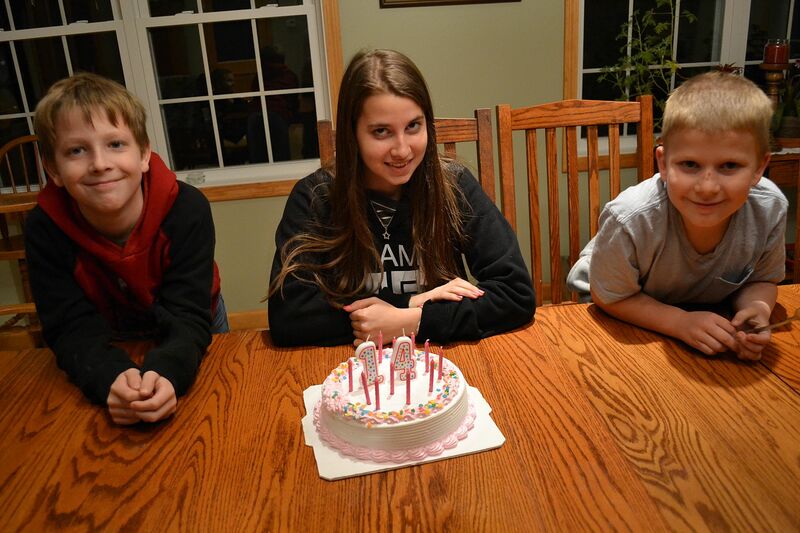 Grace is 14! Wow! She gets prettier every year! Great sweatshirt! You will have to email me where you got it.. My sis in law is a big fan too. LOL! You mothers have very exciting lives! This reminds me of a scene out of a movie where the doctor pulled a micro-machine out of a boy’s ear. 🙂 How did he get that deli ticket up there? Happy Birthday, Grace! You are beautiful. 🙂 I love the birthday cake picture with the lights out. Where has the time gone? …and how long have I been reading your blog? 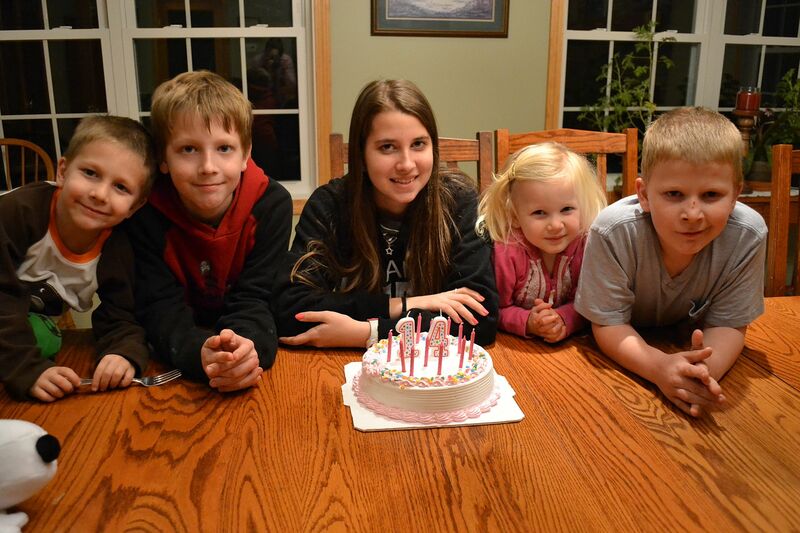 I can’t believe how fast everyone is growing up! I can’t figure out how to edit my post, so I’ll just have to add on to my comment. I also love the picture of Grace looking over her shoulder. So pretty. Shanda, you are so blessed with a gift to be able to capture the images of your children so well. All of your photos of the children are just so beautiful and poignant. I am remembering an incident with a friend’s young daughter (about the age of Sarah) ….who came to her mommy and said in her little voice – “Mommy, I put a bead in my nose.” Later, the dr in the ER retrieved a small pearl bead. Oy! At least she told her mother before it had been there awhile. Kids!!!!! I have to laugh, and rat out my sister. When she was about 3, she started to stink. My mom kept giving her baths and they could NOT figure out what was wrong with her. Finally they took her to the doctor and the first place he looked was in her nose. Sure enough, something was up there. He got it out and they could not tell what it was. When they asked what is that? My sister replied, “That’s my paper!” We still laugh about that today. They have no idea how long it had been there but long enough to smell bad. Your daughter is beautiful! I hope she enjoyed her birthday! Happy Birthday to dear Grace! Why do children put things up their nose? lol Glad it all turned out well, but oh so sorry for you dear mommy. You did well. 🙂 Mary put a mini car tire and beads up her nose as a toddler and had to have it extracted, and one of mine put something up his nose, but it came back out. Just one of those little kid things! So happy to hear of the fellowship and sweet time you had. 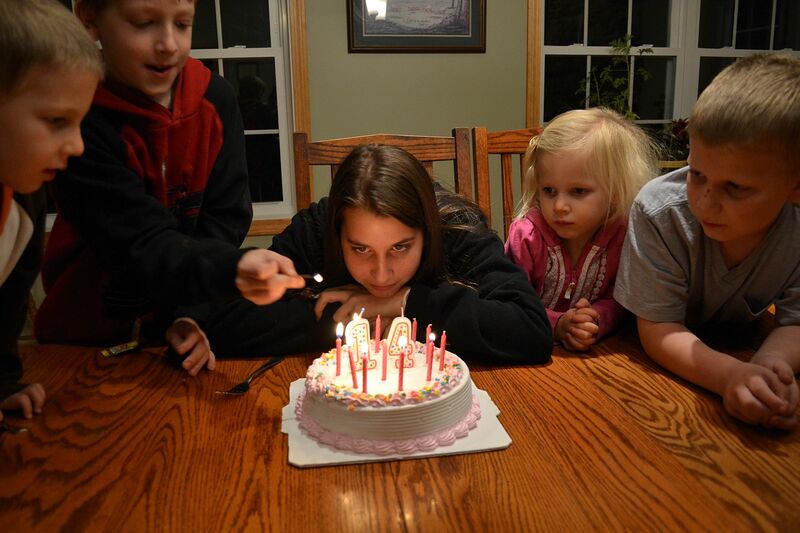 Happy Birthday to Grace! I hope she had a lovely day! Shanda, someday the phone will ring and it will be Seth. And he’ll tell you all about his son sticking something up his nose. And you will sit there and laugh till you cry. Until then, there’s chocolate and tylenol. hugs. Our girls are growing up! Happy birthday Grace! And wow, what a day! 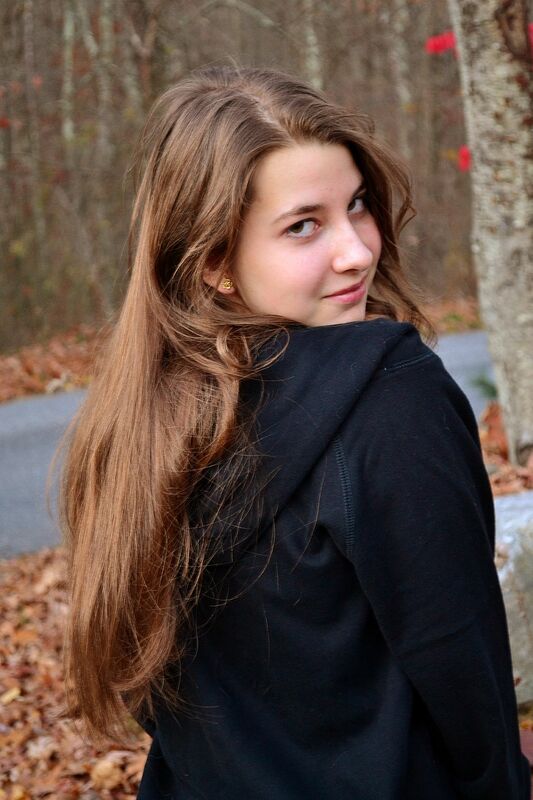 Happy Belated Birthday Grace, May year 14 be a wonderful one. I love the top 2 pictures of her, so beautiful, and the dark room birthday cake glow is amazing. Sorry to hear about the ER trip and the fallen cheese sauce. Life sure keeps us on our toes. Happy Birthday Grace! Wow! what day! I miss those days of keeping up with my children! Grace is 14! 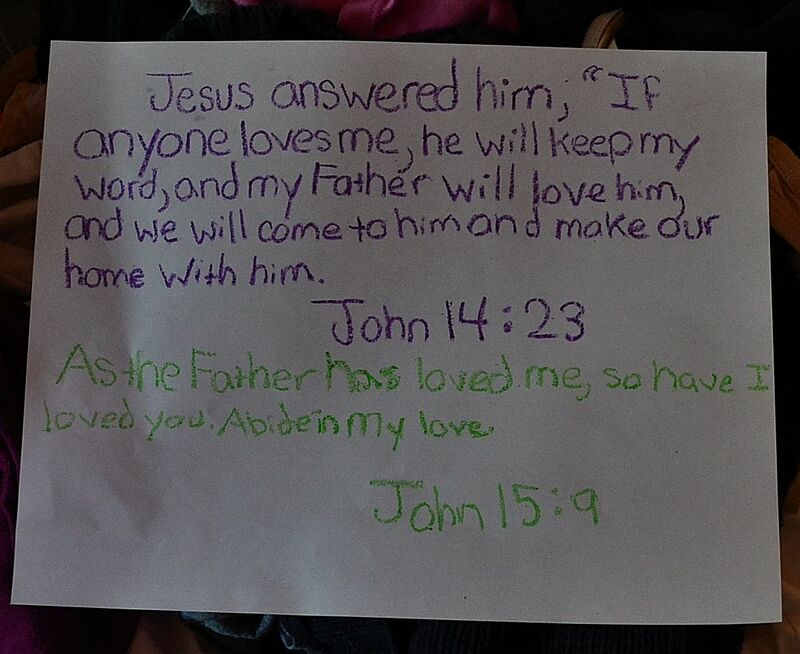 The relationship you have with Grace makes me really look forward to my daughters’ teenage years (I know people mostly dread them but I’ve decided to be naively optimistic). Please tell Grace that I adore her sweatshirt and I am a HUGE Sherlock fan! I love the idea of a recipe book full of 2-5 ingredient recipes! I would buy a book like that. Goodness me! Sounds like some days we have here one small catastrophe after another leaving mama with strained nerves and all too! After some skepticism, I’ve been venturing into the soothing world of essential oils to help calm me. The lavendar and peppermint layered together rubbed into the back of my neck is like heaven! Have you tried oils? 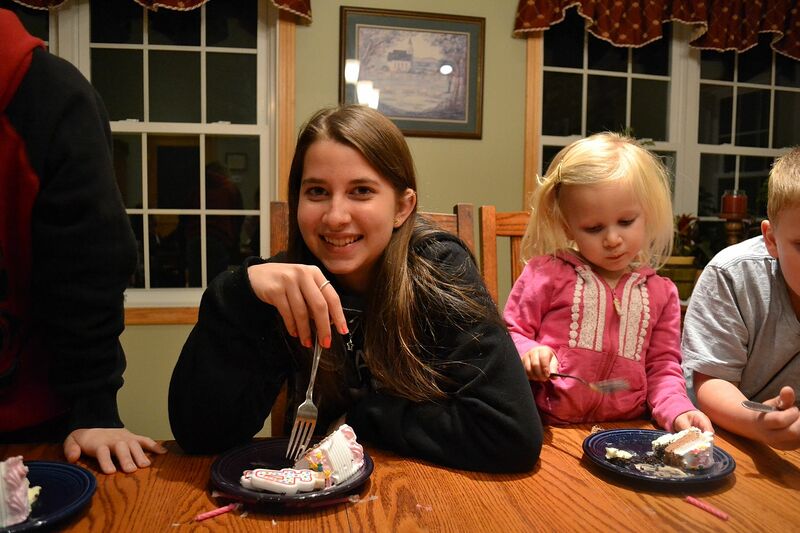 I love that you let God’s grace lead you through to still make the day special with the cake for your daughter. Bless you friend! I do! I do have some essential oils! After I read your comment I ran strait to “rosemary” and dabbed some on my wrists, behind ears, and pulse on my ankles! That is really interesting about the frankincense and myrrh. Makes logical sense to me! I just bought a candle that is scented w/those things so I can think about baby Jesus. what an eventful day!!!!!!!! And to think you had enough energy left to document it all!!! Happy birthday to that beautiful girl! !